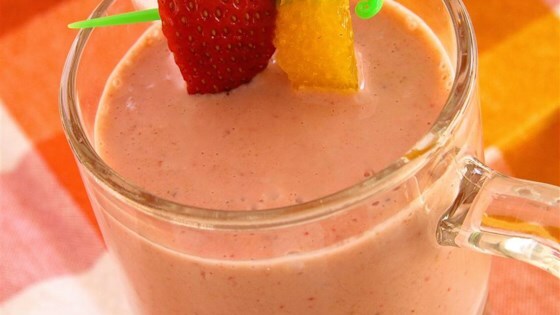 Blend yogurt, orange, banana, strawberries, ice, vanilla extract, and flax seeds together in a blender until smooth. What's not to like here??? Used vanilla yogurt, so I left out the vanilla extract, and used flaxseed meal. Very nice. This recipe is right on with a great mix of fruity flavors!